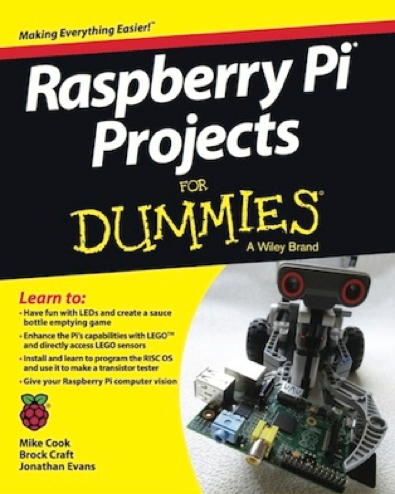 Following on from the Success of Raspberry Pi for Dummies Willy asked me to do a projects book for them. Brock Craft and Jonathan Evans jumped on board and we set out to generate the natural follow on book. 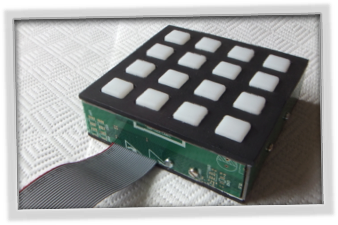 This concentrates on not only practical projects with this plucky little computer but also on how to go about doing projects and setting up your workshop. There is plenty to explore with the Raspberry Pi and we take you to some or the areas that are particularly interesting to us. We hope that you will agree that they are fascinating, and not the usual fair for such a book. 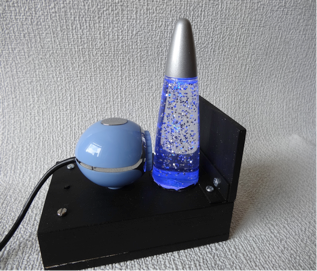 A webcam points at a miniature glitter stick. It is illuminated from the underside by red, green and blue LEDs fading in and out. The camera monitors sixteen points in the image and if any one of the red, green or blue components exceeds a threshold then a note is played from a saxophone, bass or drums. The result is a fair imitation of "free jazz". This is a game of skill where you place a dice down and the top number gets subtracted from a total. The aim is to reduce the total to exactly zero or force your opponent to overshoot zero. The only rule is that when making a move you can't use the number currently on the top or bottom of the dice. 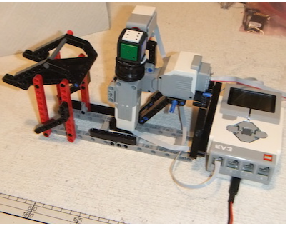 You place the dice on the platform, the LEGO* robot examines the dice to see what number you have played, it keeps a running total of the score, and tips the dice out on the platform so it lands the right way up for the computer's turn. You can win if you play a prefect game but make an error and you will loose. My original Dice Game is here. 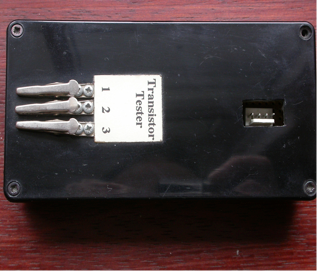 This handy little device will not only test any transistor connect to it, but will tell you the gain, the type (PNP or NPN) and tell you the pinout, that is what is the emitter, collector and base. This uses the I2C bus and the software provides a RISC OS desk top application. 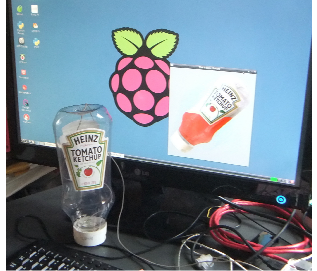 Using the simplest of circuits, a simple tilt switch wired into the Raspberry Pi's GPIO pin, make a race game where you shake the bottle to get it to empty as quick as you can. Simple circuit stunning graphics. *LEGO® is a trademark of the LEGO Group of companies which does not sponsor, authorise or endorse this book.